Creating the perfect animation video can sound like a challenging task. Whether you do-it-yourself or have access to an in-house team, without a clearly defined process, creating even a simple animated video can still be a daunting task. This can be even more challenging if you are a Newbie. But don’t worry. We have put together a 6 step guide to help you jump over the hurdles and create animated videos like a pro! Just as a building’s blueprint is the foundation for its construction, so too is the script for your animation video. As the scriptwriter, you should essentially decide what will appear in your video. While this can be intimidating at first, with a little bit of homework, things can be very easy. Before you start writing a script for your video you need to write a solid video brief. This will help you determine your objective, target audience and the core message of your video. Why you’re making this animated video? What it needs to achieve? What is the core message of your video? Any animated video you create will have one or more core messages that you want to communicate to your audience. The challenge lies in converting that core message into a simple and short story that will engage your audience. The hook: This is the most important part of the script. It’ll be the first 8-10 seconds for a 1-minute video. It will decide whether your viewers will stay or bounce. You should give some compelling reason for them to get hooked. The patty: This is the main part of your video. This is where you get to the meat of your video. Make sure it lives up to your hook. Many make the mistake of destroying their video after a great buildup. The CTA: This is the final part of your video. If your hook and patty were good, many viewers will reach the CTA part. This is where you lead them to take some action. These steps have helped our videos outperform all our competitors' videos very easily. We are very confident that it will help you do that too. A storyboard plays an essential role in any animation video creation process. It will give collaborators and decision-makers an idea of how your final video might look even before you start creating it. 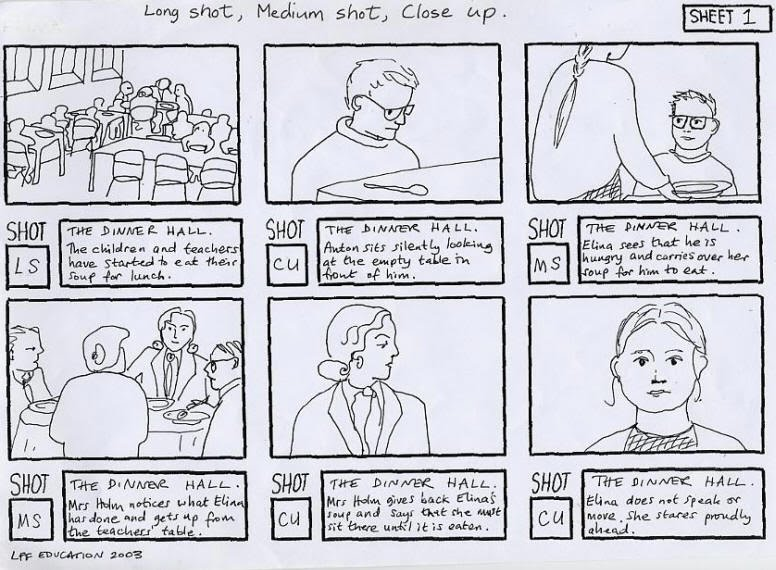 For beginners, creating a storyboard will help predict whether the concept of your video will work or not. It will give you the opportunity to tweak your visuals and script in order to create the most compelling animation video possible. A storyboard is more like a comic strip of your animation video and the purpose of creating one helps organize your video scene by scene. Use the rectangular boxes to represent scenes in succession and the smaller boxes below to highlight dialogues and actions if any. The smaller box can also be used to plan the animations or camera angles of your video. Creating storyboards the traditional way can look messy if your sketching skills are mediocre. There are online alternatives though. Many use Animaker for this purpose. Though it’s actually a full end animation tool, its simple drag & drop interface makes creating a storyboard a breeze. Later on, you can even convert your storyboard into an animated video! There are different types of animation videos you can make, but not all the styles will suit the needs of your business. Each style has its own pros and cons. If one looks fun and creative then the other might set an inspirational or serious tone. 2D animation is the most commonly used animation video style. It is created by sequencing consecutive images in a gradual progression of steps to simulate life-like motion similar to the traditional form of animation. This type of animation will suit both B2B & B2C audiences. As your audience grew up watching animated cartoons in their childhood, 2D animation videos instantly develops a strong emotional connection with them, thus increasing viewer engagement! Whiteboard animation videos are most suited for creating product explainer videos. If done the right way with a compelling script and CTA, you can get more sales conversions. It simulates the effect of characters and objects being created in front of a viewer on a plain white board. This immediately draws user attention and remains in their memory for a longer duration. Furthermore, there are 4 different styles of whiteboard videos that you can make; namely blackboard, notepad, glass board & stitchboard videos. Whiteboard videos are also a perfect fit for the education industry, as teachers usually use a marker and a whiteboard to explain complex ideas to their students. Animation video using typography is a technique mixing motion and text to express ideas in the form of video animations. This type of video is generally used for creating lyric videos for your music tracks. It’s the ideal video format to use when you want your viewers to focus on the words being presented. Moreover, it usually takes very less time to create one. Here’s a typography video we made as a tribute to the legendary Steve Jobs. Infographic animation videos can be used to convert your boring data into engaging stories. These kind of videos are more eye-catching as they pack themselves with lots of animated charts, numbers, graphs and other visual content that naturally draw viewer attention. If you are someone who still presents your monthly sales data to your boss using a spreadsheet, you should definitely give infographic animation a try! Check out this infographic animation video below! Handcraft Animation Videos are a simple yet effective way to explain a concept. So, they can be most suited for explaining complex ideas. These videos simulate the effect of objects being moved around the scene by a hand and thus are naturally attention-grabbing to the human eye. These are the most common types of animation videos used by brands around the world. You can also go with a hybrid version. You can mix & match these video styles to make your videos even more engaging. Deciding how to animate your video can be a challenge as there are a lot of options to choose from. Each option has its pros & cons. This option will suit your brand best if you plan on making a series of animation videos and have access to a huge marketing budget. Firstly, You’ll need a team of scriptwriters, animators and voice-over artists. Then you'll have to provide them access to the necessary equipment and software. While it’s a one-time purchase, it can easily cost you tens of thousands of dollars. Moreover, the quality and production time per animation video will solely depend on the capability of your in-house team. Outsourcing will suit you best if you're only planning for a one-time animation video project. There again comes the debate of choosing the right animation studio and the question of how much they would charge. Firstly, you'll have to consider the timeline for your project and the budget you have in-hand. When it comes to outsourcing, the quicker you need your video, the more you have to spend! In this case, the quality of the video will depend on how well you've communicated your idea to the studio and how well they have understood your brand. When you're on a lean budget but at the same time need a killer animation video, DIY apps are your best friend! Yes! You can do it on your own. No! You don't have to watch "how-to" videos of sophisticated software on youtube. All you need is a PC/Mac and access to an internet connection. Sign up for a DIY tool and start creating animation videos from the comfort of your web browser. We’ve built Animaker, with which you can create 2D animations, whiteboard videos, infographic videos, handcraft videos and even typography videos. You can make use of 90+ templates and the World’s largest animation library. You can check out the possibilities of our free app over here. Adding a background music to your video is like placing a cherry on top of the cake. Without it, something will be missing! However, finding the right music track among the millions available online, can be tough, Again most of the music you find online is not copyright free; the last thing you want is having someone sue you, for using their music track without permission! Ever wondered why some songs make you sad? Music can evoke emotions. It can set the mood of your video. So decide how you want your viewers to feel after they watch your video. Different people have different taste in music. It also varies with age. Most kids like funny and happy music, while most teens prefer metal and rock. Source music only from royalty-free sites. Contact the music creator and make sure they are ok with it. You can also legally purchase music from third-party sites. After you select a few music tracks, apply them one-by-one to your video and see which suits your video the most. Now we have come to the last step in creating an animated video. You have spent the entire time perfecting your animation video in every way possible. But which is more powerful? Telling your story in your own words, or adding lines and lines of text inside your video? You can find professional voice-over artists in freelancer sites like Fiverr and Upwork. They can provide you with quality voice-overs for your video. Moreover, they are affordable and promise timely delivery too. Recording our own voice over can be fun, yet challenging! The most important part is the equipment. A poorly recorded voice over is the number one video killer! Make sure you learn from the experts before starting out. You can also use advanced text-to-speech apps like Animaker Voice to create your own voice over. These 6 steps are just to get you started. Once you create a lot of videos, these tips will become second nature. Do you have any doubts that haven’t been answered yet? Please shoot your questions in the comment section below - We’d love to help you out!